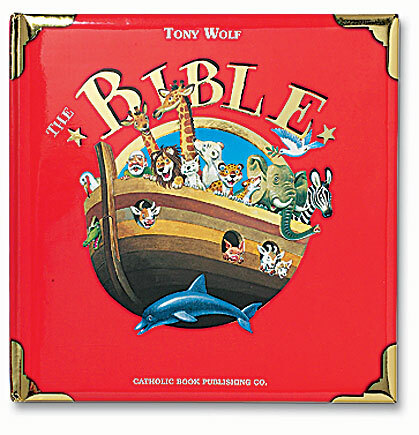 These favorite stories from the Bible, brimming with adventure and wonder, recount how God revealed Himself to His people, Children will delight in the richly colorful and playful illustrations on every pate, each bringing to life a timeless story for them to enjoy over and over again. The large square format, gold corners on the cover, and padded hardcover binding signal this as a special treasury of Bible stories that makes a lovely gift or a volume that families will value for a lifetime. 64 pages.